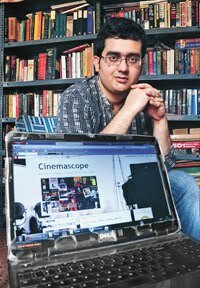 The word that would perhaps closely describe Sanjhbatir Rupkathara, promising Bengali filmmaker Anjan Das' debut film, is melancholy – not just the kind brought about by loss, loneliness and regret, but also the kind ushered in by the very act of growing up. Sanjhbati (played very well by the talented and luscious Indrani Haldar), named so because she was born at the stroke of twilight, is a girl filled with idealism and love. 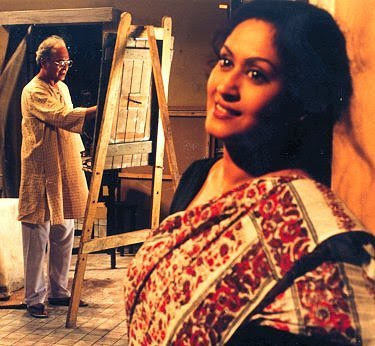 Her father, Saikat (brought to screen with majestic force and nuance by the veteran thespian Soumitra Chatterjee), is a painter who fills his canvas with the sights and sounds of the nature around him, and who is the person closest to Sanjhbati. But events occur in her life which slowly start replacing Sanjhbati’s idealism with disillusionment and distrust; and when one not-so-fine day she feels her father too has betrayed her trust, her beautiful little world comes crashing down with debilitating consequences for all around her. This movie, adapted from the book by the renowned poet Joy Goswami, has made commendable use of the interplay of light and shadows, as well as, reality and surreality, thus making it both a sensitive and a sensuous film. Fine photography, too, hasn’t done it any harm. The movie does have its flaws – the narrative could have been tighter for one. But on the whole, this is a pretty fine movie for a lazy Sunday afternoon. 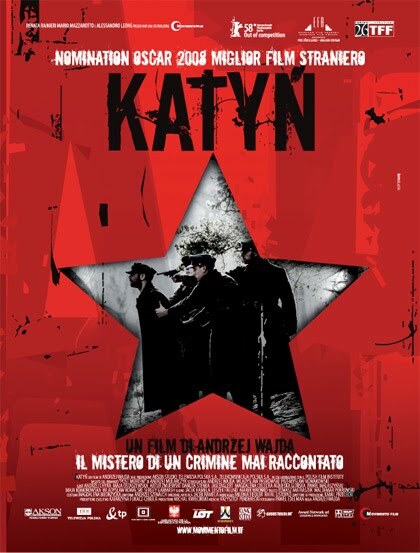 With Katyn, octogenarian Polish master Andrzej Wajda, maker of such legendary movies as Ashes and Diamonds, Man of Marble and Man of Iron, has made a film on a subject that is not just extremely personal to his life, but also which he had to wait a lifetime to bring to light. During the summer of 1940, the Soviet secret police ruthlessly executed, at point blank range, over 15000 Polish army officers (one of whom was the director’s father), and then didn’t just bury their bodies, but also tried burying the event by laying the blame for the massacre on the Nazis. This dark and horrific event that forms an indelible part of Polish history is the subject of this powerful and harrowing war drama from Wajda. The movie begins with the tragic state of the Polish people where one half is fleeing from the Nazis while the other is fleeing from the Soviets, and they meet at halfway point at a state of utter confusion and helplessness. Thus, with the ominous foreboding of World War II as its backdrop, the Katyn massacre is slowly revealed through a few Polish characters directly affected by its occurrence and aftermath, culminating in one of the most terrifying and tragic climaxes that is sure to many viewers shuddering. The movie boasts of spectacular and atmospheric photography, and a moody soundtrack. 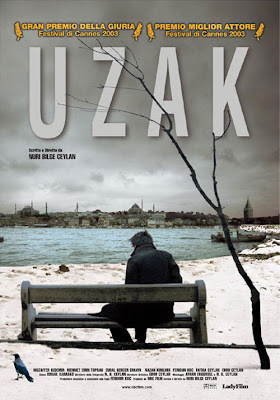 Directed by Turkish auteur Nuri Bilge Ceylan, Uzak is an astounding piece of arthouse cinema that has the ability to keep its viewers in a state of daze long after the end credits have rolled. The basic premise is ridiculously simple – the heavily structured life of a freelance photographer residing in Istanbul, Yusuf, gets thrown off balance upon the arrival of his rustic cousin, Mahmut, in search of employment at the docks at the roll of an economic downturn in Turkey. What the premise fails to reveal is that this is a devastatingly affecting look into the severe loneliness of the two protagonists and their futile attempts at trying to make human contact, be it with his divorced wife, in Yusuf’s case, or with the aloof Yusuf and a young girl who has caught his eyes, in the genial Mahmut’s case. The interactions between the two taciturn characters have been brought forth through subtle, carefully placed observations. The tale of the two jaded and detached characters, the languorous pacing of the narrative, and the long moments of silence and inaction, might be off-putting for some viewers; I, on the contrary, was left speechless by the existential script, the powerful statement on the complexities surrounding otherwise banal existences, the underlying pathos that peeks out only once in a while amid the dry humour, and the incredibly naturalistic performances by the two actors. And the ravishingly beautiful images of the cold, icy and desolate landscapes form the most ironic metaphor for the equally bleak, albeit splendid, human story that unfolds before it. 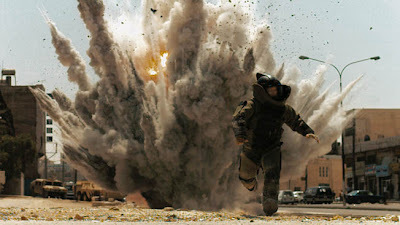 The Hurt Locker starts with the iconic quote “War is drug”, and then goes about both backing and demystifying the statement. One of the best movies on that historical blunder of genocidal proportions by George W. Bush called the Iraq War, The Hurt Locker is a taut and riveting work that places the viewers right in the middle of the killing fields of Baghdad. At the heart of the movie lies an elite Explosive Ordnance Disposal squad tasked with the immensely perilous duty of diffusing live bombs ready to explode any given moment. And amidst the humid, dusty, fast crumbling and hostile Iraqi terrain we meet the cocky, arrogant, at times recklessly daring, but ultimately exceedingly competent Staff Sgt. William James, played with remarkable precision by Jeremy Renner. The movie, shot in cinema vérité style with documentary-like footages, and devoid of any preachiness or rose-tinted vision of the place, boasts of numerous moments of nail-biting tension that are bound to keep the viewers on the edge of their seats. Okay, the movie does have its moments of improbable scenarios, but Kathryn Bigelow has succeeded in keep a reasonably tight leash on the proceedings. 033 conforms to the themes of its predecessor Madly Bengali in that it is about a Bangla Rock Band, it is about a group of four egocentric and lost youths who learn to come to terms with themselves, and it is also about how the immensely rich and dynamic musical history of Calcutta has found a new face in the form of its underground rock circuit; so how does it stand out? Not so much in content as in form. The film, which is about a boy-band named after the STD code of the city they are based in, and on how a melancholic young girl, in search of her roots, manages to leave a small impact on the band members, has been presented in a manner that is wildly experimental and out-of-the-box in terms of treatment. 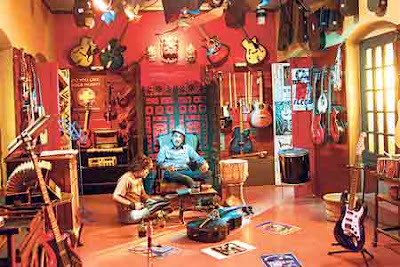 It manages to be freewheeling and even a wee bit iconoclastic, like the songs of the Beetles and Dylan, or the ideologues of Che Guevera, whose posters adorn the trench, a neon-lit shack owned by a veteran music lover who calls himself Santiago, where the band practices their music. Jerky camera motions, jump cuts, handy-cams, slow-mo-s, psychedelic lightings, etc. have all been fused into the breezy improvised script, along with wit, humour and some wonderful original compositions by Chandrabindu (as well as a terrific redo of a Mohiner Ghoraguli classic), to present a movie that its debutant director must have had one hell of time while making. Bengali auteur Rituparno Ghosh’s latest feature, Abohomaan, continues with his life-long fascination with the subtleties and layers that define human relationships. And, in the vein of Shob Choritro Kalponik and The Last Lear, it is in sync with his recent inclination towards fragmented narratives. 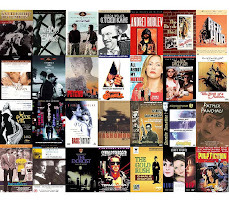 The complex relationship between an artist and his muse forms the subject of the movie – that too, quite incredibly, twice over in the film within the film. A revered arthouse filmmaker, while making a movie on the famous mentor-minion tale of Girish Ghosh and ‘Nati’ Binodini, develops kinship with the young actress playing Binodini, which forms the source of heavy undercurrents between him, his wife and his son. The story has shades of the alleged affair that Satyajit Ray apparently had with actress Madhabi. However in Ghosh’s expert hands it never appears exploitative or sensational; rather, it is a matured look into a theme that is as much universal as it is local. 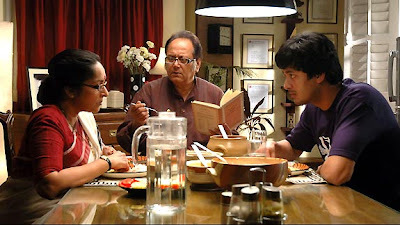 The movie boasts of a stellar performance by Dipankar De, and competent turns by Mamata Shankar, Jishu Sengupta and Ananya Chatterjee. This cerebral and moody film with a deliberate pacing is thus another gem in Ghosh’s already exceptional oeuvre. Spider, unlike his earlier films, might not be bordering on the bizarre or grotesque, but it is in line with Canadian horror maestro David Cronenberg’s latent obsession with delving into the darkest of corners of the human mind. Adapted by Patrick McGrath from his own novel, Spider is a chilling and compelling account of a boy-man with a severely damaged mind, forever haunted by the dark memories of a horrible deed from his past. Released after spending twenty years in a mental asylum and allowed to take residence in a halfway house, Spider, as he roams the bleak and dreary landscapes of London, initially appears to be a man who has changed for the better, despite his many idiosyncrasies. However, we are gradually apprised of the fact that his mental decay has crossed the point of no return, and as he gets more and more enmeshed into the grimy details of his life in a dysfunctional blue-collar family, his fragile mind gets ever more close to getting irreparably and violently shattered. Ralph Fiennes has turned in a devastating, brooding, disquieting and ultimately triumphant performance as the quietly paranoid and forever muttering Spider, living an existence that is so isolated and volatile that most viewers might find the movie a difficult watch. The immaculately paced and nightmarish film also boasts of superb performances by the luscious Miranda Richardson as three distinctly different characters and Gabriel Byrne as Spider’s brutish father. A number of critics have called Cache Austrian provocateur Michael Haneke’s most accessible film vis-à-vis his other works like Funny Games and The Piano Teacher, because of its lack of nerve-racking or incendiary contents. I, however, beg to differ for the simple reason that it’s intellectual depth far outweighs the other two works, making it a potent and an incisive precursor to his brilliant masterpiece The White Ribbon. A bourgeois Parisian family starts receiving tantalizingly menacing videotape recordings of their home from a mysterious stalker who may or may not have revenge in his mind. And that opens a can of worms from the husband George’s guilt-ridden past that threatens to rip apart his upwardly mobile family through introduction of such destructive germs as fear, paranoia and distrust. But at a broader level, the movie manages to go beyond that. The family’s ordeal forms the perfect allegory to France’s chequered colonial past making the film a powerful socio-political commentary. At the forefront of this work sans any background score lies the astounding performance of Daniel Auteuil as George. The climax will fascinate some, while leave others frustrated; but there’s no denying the movie’s ability to unsettle, disturb and provoke its audience. 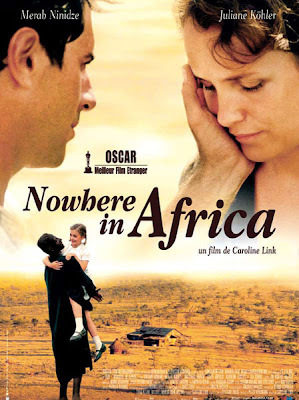 Nowhere in Africa, based on the best-selling autobiographical novel of the same name, is a tale of love lost and found, an epic account of a young girl’s journey from wide-eyed innocence to reluctant maturity, and a reevaluation of the meanings of ‘home’ and ‘roots’. Walter, a farsighted German-Jewish lawyer, who gets inkling about the impending pogroms against Jews, manages to get his beautiful wife Jettel and daughter Regina emigrated to Kenya – a country filled with pristine beauty but culturally and economically at complete odds with their former homeland. Though Jettel initially finds it extremely difficult to adapt to their radically different lifestyle (and later her acceptance of the place occurs parallely with her growing sexual frustrations), Regina gets mesmerized by the place and its people the day she arrives and strikes up an especially touching friendship with their good-natured cook Owuor. Caroline Link, the film’s director, has managed to bring forth the depths and the various emotions at play in her finely-realised, three-dimensional and utterly human characters, through a tone that is filled as much with empathy as with the book’s sad remembrances for those turbulent few years in world history. 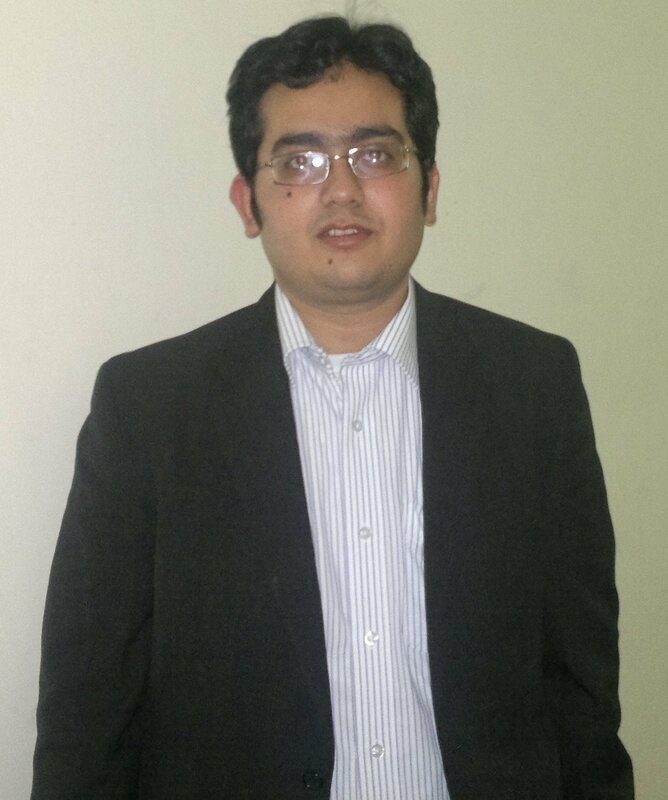 The movie boasts of captivating photography, and fine performances in front of the camera. 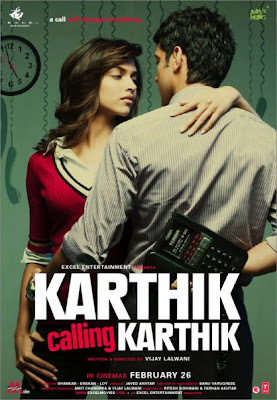 Karthik Calling Karthik is a mightily refreshing and encouraging sign of the growing maturity of Hindi film directors, and their willingness to explore cinematic possibilities far outside the inane, juvenile, saccharine song-and-dance films that Bollywood has mostly come to stand for. This finely paced film stars director-turned-‘thinking man’s actor’ Farhan Akhtar as Karthik, a loner with such low self-confidence that he is treated like dirt by his egotist boss and ragged by his landlord, and to make matters worse, he’s silently in love with the lovely Shonali (played smartly and sassily by Deepika Padukone), a colleague of his, who wasn’t even aware of his existence despite their having worked in the same office for the last four years until he gets publicly ridiculed and fired from his job for no fault of his! Thus, when his life can not get any worse, he receives a call from a mysterious well-wisher who also goes by the name of Karthik, resulting in a change in his life that is far more dramatic than even his wildest imaginations. Revealing any more of the ingenuous plot would be criminal of me. Suffice it to say, the psychological thriller is sure to keep one engaged, while never shying from taking a peak into the dark and prohibited corners of a very disturbed person’s mind. Bhalo Theko has presented the various dichotomies that oftentimes exist within a society, or as in this case, an educated and politically conscious Bengali family residing in the countryside – the rebellious and those resigned to fate, the prosaic and the idealists, the inflexible and the easily bent, those always with a step in the future and ones forever dwelling in the past. And the manner in which this poignant tale of love, loss and loneliness has been presented that anyone giving it a try will find it very soothing to the nerves. The central story of Anandi, a selfless woman who, true to her name, knows only how to spread love, mirrors the changing fortunes and socio-political climate of the city of Calcutta. The non-linear narrative swings back and forth in time, from the turbulent Naxalite revolution in the 70’s to the era of urban female emancipation in the 90’s, and captures her numerous heartbreaks and the few fleeting moments of bliss. The beautiful Vidya Balan’s exquisite portrayal of the immense depths in Anandi’s character belies the fact that this was her debut feature as an actress. And the grand thespian of Indian cinema, Soumitra Chatterjee, has added yet another memorable role to his rich canon through his quietly powerful portrayal of a former trade unionist and Marxist who now whiles his time reminiscing and reading. The wonderful background score, lush photography and some soul-stirring poetry make Bhalo Theko a deeply humanistic work of art. 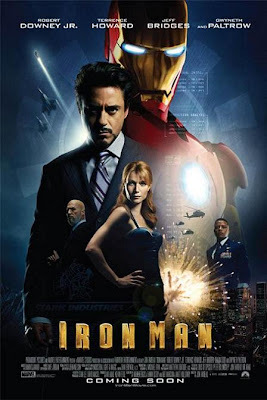 Iron Man is the first in-house production by Marvel Comics, and what an inspired decision it seems to have been because this might just be one of the most memorable superhero films and comic book adaptations in sometime. The movie is plainly and squarely about Tony Stark, a cocky, cynical, egotistic, arrogant billionaire, who graduates to being Iron Man when he realizes that weapons manufactured by his company might actually be furthering terrorism instead of abetting it. The film has been cast to perfection. Robert Downey Jr., as the flawed genius who gets an eye-opener only when kidnapped in Afghanistan, has done a fabulous job by making Tony Stark/Iron Man absolutely his own. Gwyneth Paltrow and Jeff Bridges, too, are noteworthy as Stark’s ever-loyal assistant and his dubious right-hand man, respectively. A critic qualified the movie for “it’s meta-narrative of celebrity redemption”; its socio-political subtexts aside, at the end of the day what really makes it such a hip-roaring success is that it is a solid summer-blockbuster and an out-and-out entertainer. The action scenes are spectacular but never over-done, the special effects are quite good, the kind of gadgetry shown would put the James Bond’s and the Batman’s to shame, and the pulsating soundtrack does the film no harm. Trouble Every Day, directed by the darling of arthouse circles, Claire Denis, left me largely untroubled despite its overtly provocative content. A pervert might find the movie something of a sinful delight, while a puritan would term it disgusting and tasteless; my views about this French film are rather ambiguous – visually beautiful on one hand, yet frustratingly indecipherable on the other. Set in Paris, we are introduced to a lanky, mysterious guy, on honeymoon with his beautiful, vulnerable wife. However their seemingly romantic trysts mask a dark secret – the kind which involves a lot of blood and a trail of dead bodies. This stylized and forbidden tale of cannibalism (yes, you read that right) has, even if one finds it difficult to believe, a certain sensuality and poeticism about it that would appeal to the senses despite the graphic content, thanks to Denis’ sense of aesthetics and her experimental, meditative take on the age-old tale of vampires. However, the disjointed script, the strange flashbacks which are plain irritating, and some average performances in front of the camera make this movie appear more of a deliberate snub to the conservatives than an attempt to deconstruct the zombie genre, though the truth might very well be the other way round.